Search engines can provide uncanny results tailored to your very person. How they do it may leave you at risk, read on to find out how to prevent data collection. Search engines, they’re great. They are the road map to the Internet and after your router and ISP are the most important feature of web surfing. They help us find what we want on the Internet, where to go, which websites and the best thing is, you don’t have to know exactly what you want or exactly where you want to go. A general sort of knowledge, a simple word or phrase, is all it takes. The Internet would certainly function without search engines as we know them today but it would be a lot different. Along with the ability to find and direct you to the information and websites that you want search engines provide many other services. One of them being advertising and more specific a targeted kind of advertising that delivers content directly to the demographic most likely to be interested. Pretty amazing if you think about but also pretty scary when you consider how they do it. By keeping track of you, who you are, what kind of person you are, what you like, the websites you’ve visited in the past and just about every other piece of information that exists about you on the web. What is a search engine? While the specifics vary from engine to engine in general, a search engine is a complex algorithm or suite of algorithms, computer software, that scours the Internet looking for information and websites based on a preset criteria, specifically the key word or phrase. Other information that may be included in the search criteria are demographic data about the person conducting the search which is used to filter results. Top data collecting search engines can fine tune results to the point of delivering age, gender and personal interest specific ads directly to your computer screen. Because the web is so vast, more than 6 billion websites but who’s counting, the search engines take steps to shorten the amount of time it takes to deliver the SERP, the Search Engine Results Page, the page you get with the list of all the great websites with the content you are looking for. One of those steps is indexing. Indexing is when the engines use what are called spiders, programs whose job is to crawl the web and determine what content is located where, to develop a list of all the websites categorized by content. Within the categories the websites are ranked. The websites with the highest quality content, the content that is the most relevant to search queries with the longest lasting value get the higher ranks. When you conduct a search the engine goes to the index and finds the websites that best match your query. Ranking is important because it determines what websites are listed on the SERP once you’ve conducted your search. Only the highest ranked content will be displayed on the first page and above the fold, that means on the screen at the top of the page and seen without having to scroll down, which are the spots that receive the majority of all clicks. According to data from a number of sources, the #1 spot on Google receives more than 33% of all clicks while the 2nd spot gets barely half that and it only continues to lessen the further down you go. Search engines, advertising and the quest to be #1 has led to the rise of an entire industry, Content Marketing and SEO. This industry relies on search ranking to generate clicks and website traffic for the purpose of promoting or selling products or ad space. Another method of filtering search results, and the one of most concern to us as Internet users, is data mining. If you’ve ever wondered how a website like Google or Bing, or even Facebook for that matter, is able to pull up ads for mountain biking or for 43 year-old first time fathers, it’s because they know that about you and they know it because they went out and collected that information that you didn’t give them yourself. Data mining is a specialization within computer science that seeks to derive information from large sets of data. The field is interdisciplinary including artificial intelligence, machine learning, statistics and database systems . . . which are all parts and parcels to the functioning of search engines, indexing and targeted search results. The term itself is a little misleading, suggesting the collection of data when in fact it is the derivation of information from that data that it refers to. While data collection and the use of that data by search engines falls under the umbrella of data mining to say that data mining is simply collecting and processing large amounts of data is like saying 18 year old Scotch is just whiskey. Three sub-fields or types of data mining are: cluster analysis, anomaly detection and associations. Search engine data mining may use cluster analysis to determine groups of interest, anomaly detection to fine tune personal results and associations to derive suggestions tailored to personal interests. Like everything else, at face value data mining is OK. You don’t want a ladies only workout express to show up as your #1 choice when you’re a guy looking for an all-night gym anymore than a childless single gadabout town needs to see ads for baby formula. Beneath the surface is where things get dicey because 1) you never really know what is being collected and 2) even assuming that the collection of your data is “safe”, there is no telling who might hack into their servers or intercept a data stream, exposing you to personal injury. Which Search Engines Collect Data? When it comes to search engine data collection and data mining they all do it to some extent. The differences lie in their privacy policies, how they treat ads and any privacy oriented features they may offer. What many Internet users don’t realize is that there are alternatives to Google and the other top engines that perform just as well without the need to invade your privacy. Following is a break down of the top search engines today and how they stack up in terms of your privacy and Internet safety. – No search engine really comes close to Google in terms of scope, number of users or impact on the Internet but there are still some other major brands that are commonly used. Yahoo! is one and historically a good engine, and historically another major collector of data. Along with that Yahoo! is also well known for not one, but two major hacks that have left its users at risk of identity theft and all the headaches and troubles that it brings. What is also important to note that Yahoo!, which was once powered by unique and proprietary software, has been “powered by Bing” for some years now. The only difference in results, really, is an Ad Manager that helps you control what is being displayed, if not what is being collected. – Ask.com is an alternative to the major brands that flies under the radar most times. Usually when you encounter it, that is because the toolbar got installed on your computer without you knowing it, and it is a hassle to get rid of. If you haven’t heard of it, it used to be called Jeeves and has, in its multi-decade life, been a Q&A site, a search engine, both and other. In recent times the site has fallen on hard luck, receiving less and less volume each year, but nonetheless remains a top collector of data, perhaps the last thing of value it has to offer so beware when using it. Among the data collected is your geographic location, a real issue for anyone with a real need to remain isolated, anonymous and private. Ordinarily this one isn’t a problem because you just don’t run into that often, until you do. – Lycos, yes it is still around and for some reason people are still using it, as if you can’t get everything it has to offer and more just about everywhere else. Along with an out of date and largely irrelevant platform you also get a fair amount of data collection although it is a bit less intrusive than Google and Bing. Of course, less intrusive is a matter of debate when it comes to your IP address, hardware, browsing habits and other data that could be used to track you on an individual basis. The good news is that not all search engines rely on your data to function, or to make money. There are a number of them that deliver high quality results without the ads and targeted content that can make web surfing such a hassle. It’s understandable that businesses want to advertise and that search engines want to capitalize on their traffic but come on, enough is enough. 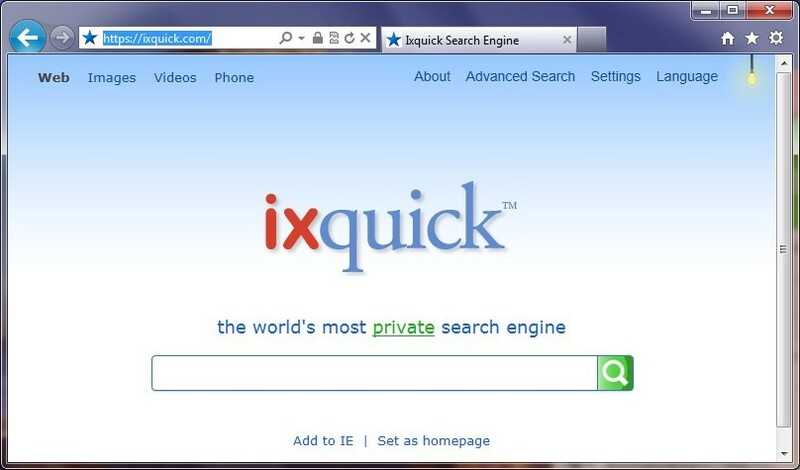 – Ixquick is a search engine that has been around since 1998 and has flown largely under the radar. When you go to the home page there are two things that you will notice. The first is that it resembles Google, if Google had a more laid back brother that was more fun to hang out with. The second is that very clearly right there in the middle of the page it says “the worlds most private search engine”. In the beginning it was 100% ad free but is now “enhanced by Google” which means that yes, you will get some ads. The difference is that the ad returns are much less obtrusive and you are buffered from the data collecting practices of Google. The absolute best feature the site has to offer is the ability to open search results anonymously in a proxy window. 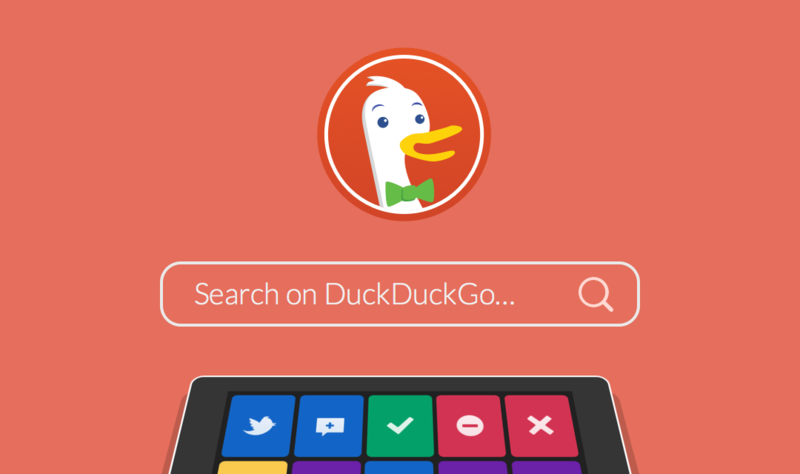 – DuckDuckGo is a more well known name with the privacy preserving performance security minded Internet users will love. The website does not collect your personal data, only search queries in a broad and aggregate kind of way, and does not deliver ads. Another major plus of this engine is the TOR service, a bit-torrent based file sharing service that helps preserve anonymity, but it comes at a price. The algorithm is focused toward crowd-sourced and user-generated content so you may not get the most current returns when searching for news. Oh well. There are a number of ways to prevent data collection and the collection of your data. 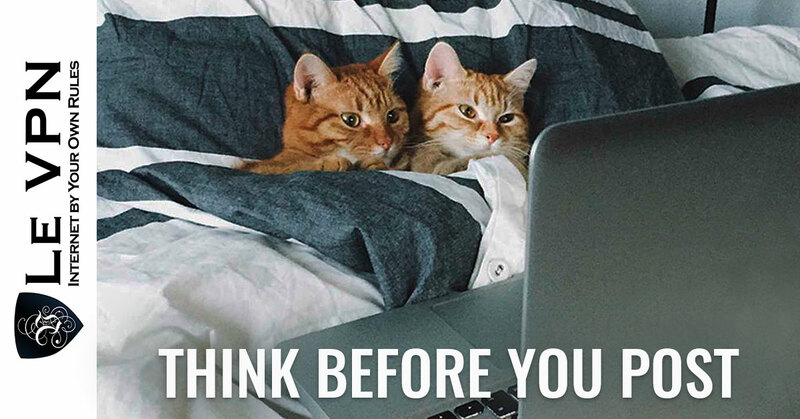 The number one is to not put your information on the Internet. Try to avoid entering your information anywhere it is not absolutely necessary and there is less chance for it to be collected, lost or stolen. The next thing to do is to avoid using the major search engines, they are the ones doing the collecting after all, but that is a bit of a self-defeating endeavor; when you go online to search you want to get the best results and those most often will come to you from Google. 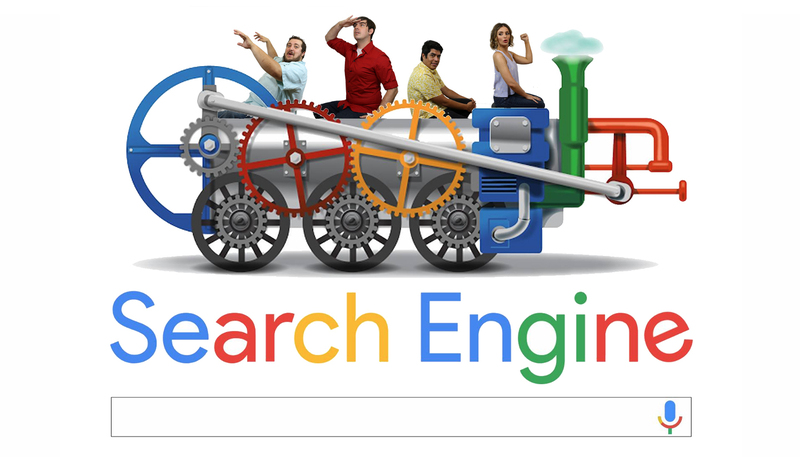 You can use one of the engines “enhanced” by Google but still, it just isn’t the same. The only way to get the power of Google without the hassle is to use it in a way that keeps you anonymous, and to do that you need a VPN. VPN, virtual private network, has long been the top method of securing Internet connections and comes with many benefits. One of them is anonymity on the web, and that is what you need to keep your data from being collected. Le VPN is the leading provider of VPN services and can even be used with a router to provide total home protection for today’s Internet of Things enabled world. If you want to search the web, and I know you do, and you want to keep yourself safe there is only one solution and that is VPN services from Le VPN. Get it now before it is too late.